My kids used to eat macaroni and cheese as a side dish, as a snack food, or when I wasn't looking, as a meal...it didn't seem to matter...to them, every spoonful was comforting and filling. Mac and cheese was not a weekly menu item for my family, but I must confess...whenever it was served...it was not homemade. To me, macaroni and cheese was a dish that filled in the gaps and only received minimal effort on my part. I don't remember my mother ever making it and perhaps that is the reason I never gave it much thought. To me, it was something that came out of a box. Over the years, and to my surprise, fiercely competitive mac and cheese cook-offs have been held. The concoctions in these challenges are amazing, creative and sometime, over the top. Many recipes include several varieties of cheese as well as cream and milk products, meat, vegetables, herbs, bread crumbs or crackers and the dishes are often baked. Because I am lactose intolerant and limit my intake of cheese and milk products to a select few recipes, I did not jump in to try any of the hundreds of contest or internet recipes. Recently, however, I had a little left over macaroni and thought I would try out at a mac and cheese recipe that only served two people; it took very little time to prepare. 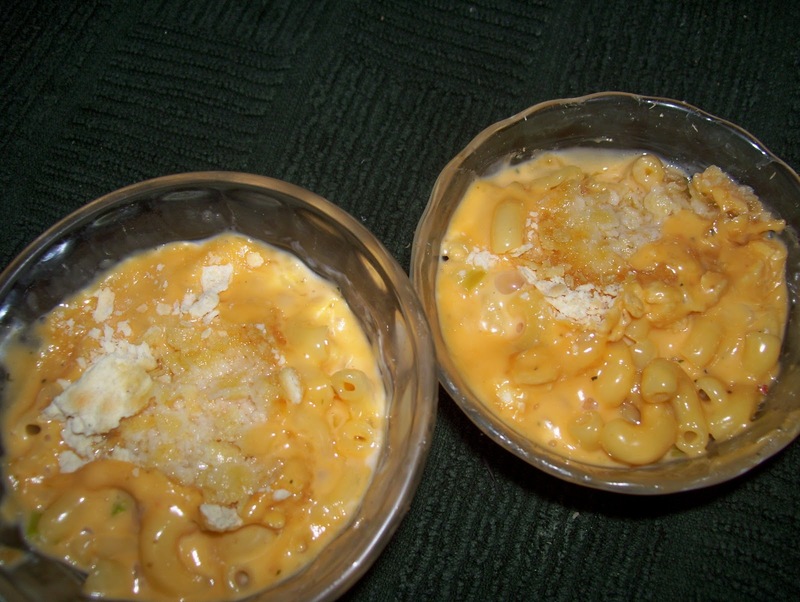 I made two different versions; my husband loved version #1 which uses Velveeta while I liked the flavor of #2 which is made with sharp cheddar cheese. Both recipes are below. 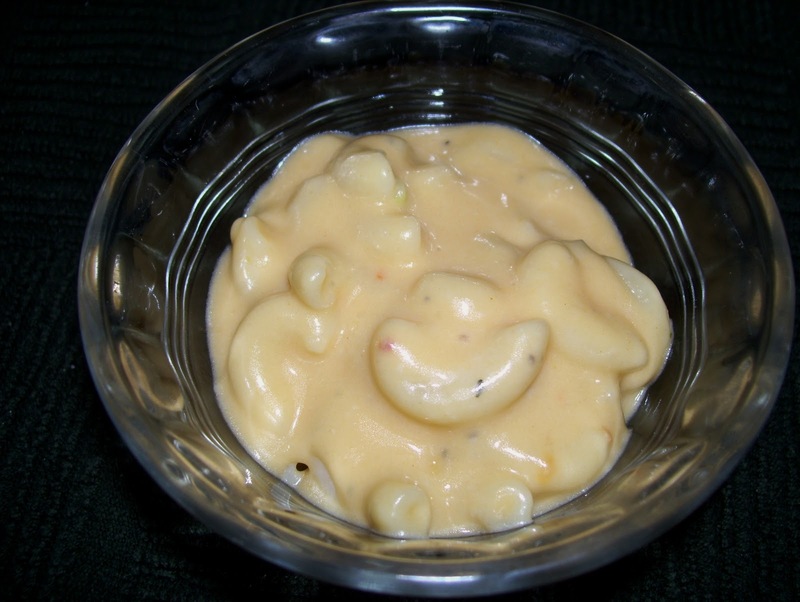 Add Velveeta and milk to a microwave safe container. Cover lightly and heat on HIGH at 30 second intervals. Stir after each interval. When Velveeta is melted remove container and add onion, Worcestershire, pepper and room-temperature macaroni. Return to microwave and heat for 30 seconds more until hot. Spoon out two servings and top with crushed cracker if desired. Melt margarine in a saucepan over medium heat. Stir in flour, salt and pepper. Whisk in milk while mixture just comes to a boil. Lower heat and cook for 2 minutes; continue stirring. Mixture will thicken and become smooth. Add all other ingredients except macaroni. Stir gently while cheese melts. Add macaroni and continue to stir until ingredients are hot. Serve immediately.